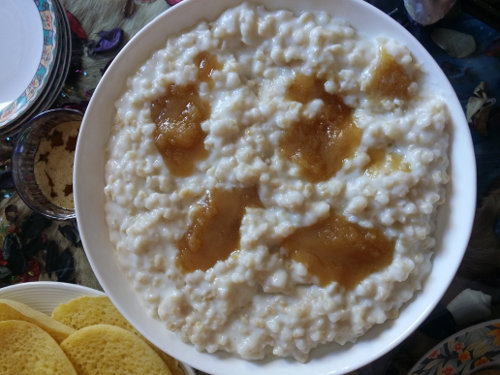 This dish reminds to all Moroccans memories of breakfasts of muslim fests (Aid El Fitr, Eid El Adha). A recipe that has probably crossed the centuries. 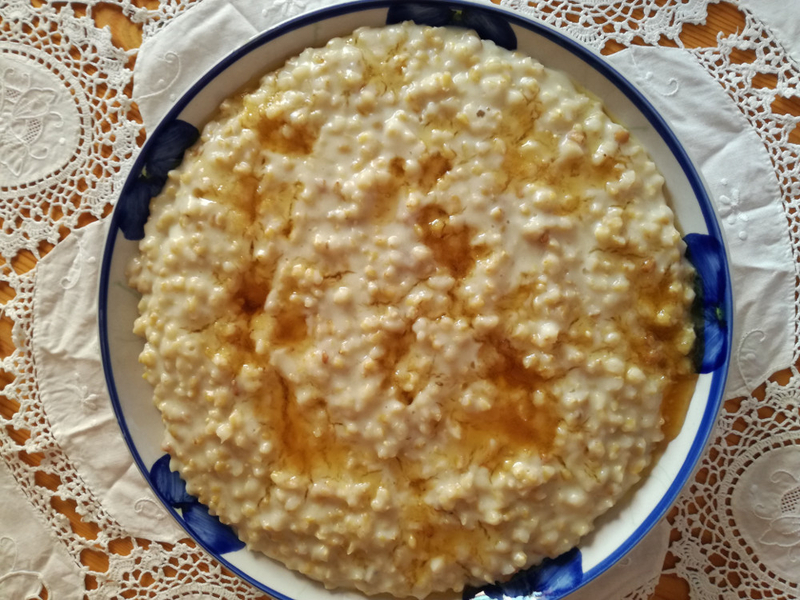 Wheat with milk or Herbel is an age-old recipe which remind all Moroccans of their memories of breakfasts in family during Muslim holidays such as Aid El Fitr and Aid El Adha. 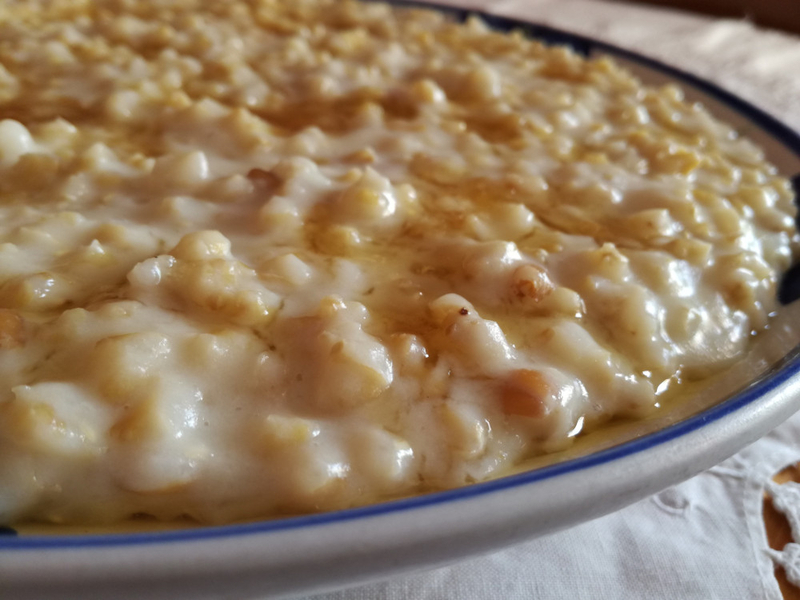 This recipe consists of slowlyxa0cooking whole or slightly crushed wheat grains in milk with some butter.xa0According to the tradition perpetuated for centuries, the "Herbel" must be put on the coals of charcoal the night preceding the morning of the holiday and leave it to slowly braise. Prepared in this manner, wheat starch is released slowly and its texture becomes suave and smooth whence the legendary popularity of this dish which is served at will during family gatherings. 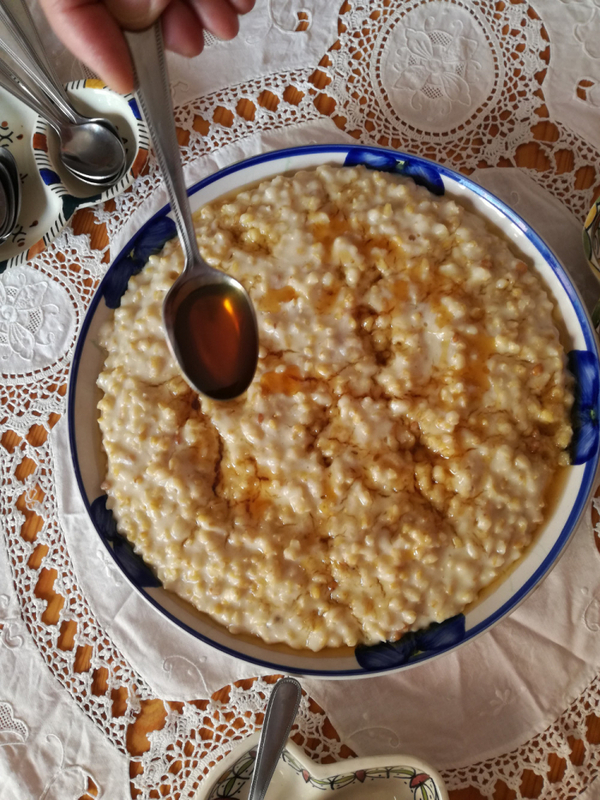 For breakfast during holydays, it can be buttered and honeyed for a nice sweet touch that everyone loves! 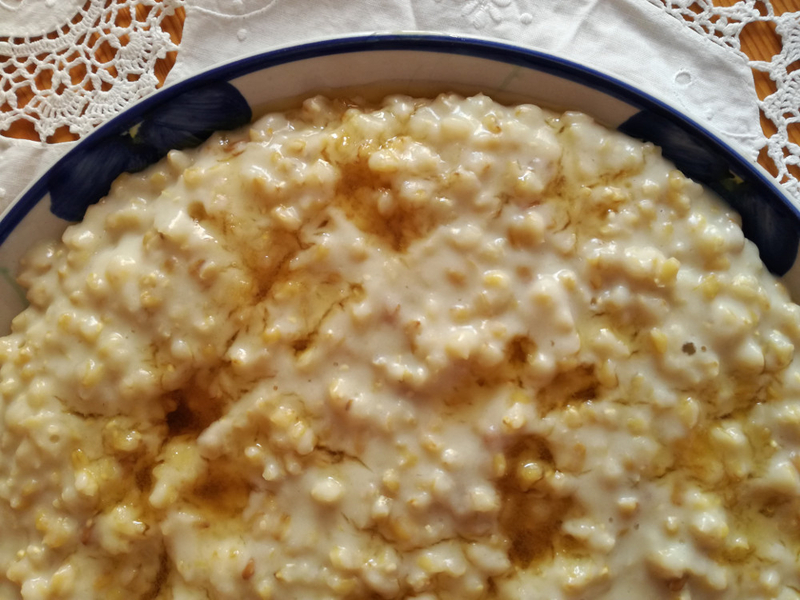 See also «xa0#rtrt# (smooth sweet semolina-based soup), another staple of holiday breakfasts.